Book Review ~ ‘Anatomy of a Darkened Heart’ by Christie Stratos. 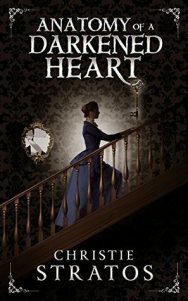 Wow, what an amazing review for Anatomy of a Darkened Heart! Thank you so much, Sorcha, for the fantastic 5-star review! Release Date: 18th September 2015.